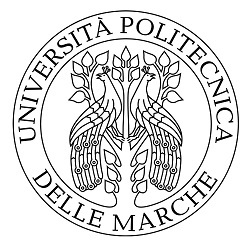 The Department of Agricultural, Food and Environmental (D3A) of the Università Politecnica delle Marche (UPM) was founded in 2012 as the new teaching and research structure combining activities of the former Faculty of Agriculture and related departments. The department consists of 54 units of senior researchers and 21 units of technical and administrative staff. Every year it runs a PhD school releasing in average 10 doctors per year. In the last 3 years, competitive national and international programs were transferred to the department with 1.2 Mio € for Post-Doc research grants. In the same period, 185 ISI papers have been published by D3A, most of them in top scientific journals that already resulted in about 1,000 citations. In the period from 2011-13, D3A received 5 Mio € funding from regional, national, European and international programs. D3A has also signed contracts with companies of the agrifood sector for a total of 1 Mio € during the period 2011-13. The department carries out scientific research in different areas. Among the different research areas of the department, the research group focused on the study of the effect of the genetic, physiological and cultivation factors for increasing berry adaptation and in defining berry quality, nutritional quality and nutraceutical value of berry fruit, including validation of the effect on consumer health, is highly qualified. The research group of D3A working on berries has a tight collaboration with the world-top Laboratory of Bioenergetics of the faculty of Medicine, led by Prof. Battino, a Thomson Reuters Highly Cited Researcher. The Laboratory of Bioenergetics group has published the certified top 1% most read and cited research papers of the last 11 years concerning the possible role of strawberries in improving and/or protecting human healthy. The group demonstrated the potentialities of these fruits (as fresh and/or processed/lyophylized product) in protecting from different oxidative injuries including chemicals, drugs and UV-irradiation. A huge world-wide visibility, also in popular media including CNN, was achieved by a study demonstrating strawberries capacity to ameliorate cardiovascular risks by decreasing cholesterol and triglyceride levels and improving platelet functionality. The group is leader in studies demonstrating that strawberry bioactive compounds possess a number of different activities besides antioxidant capacity. Current studies have obtained results which are undergoing patent procedures. Within the GoodBerry project, UPM contributes to several research activities, such as developing harmonized protocols for a successful comparative trans-national approach to study G x E influences; evaluating 6 established strawberry cultivars and established raspberry cultivars in Southern European conditions; regulating flower induction and growth cessation by temperature, light and fertiliser in the experiments on time and change of temperature; studying the breaking of dormancy in strawberry cultivars amongst others. UPM leads tasks related to project disseminations, exploitations and trainings.